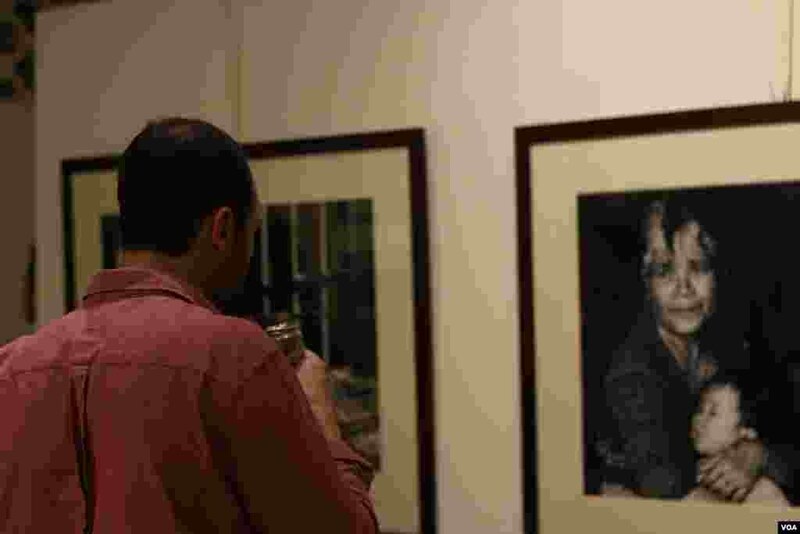 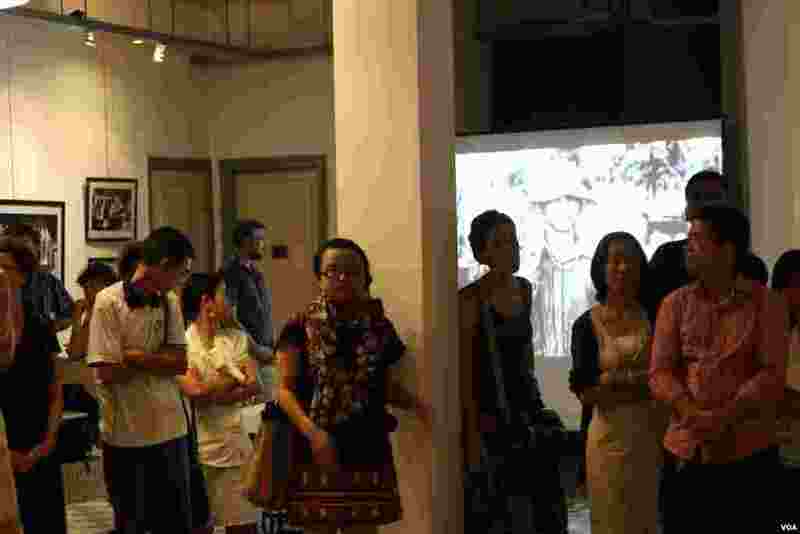 The collection of about 30 photographs is on display through June 16 at the Bophana Center. 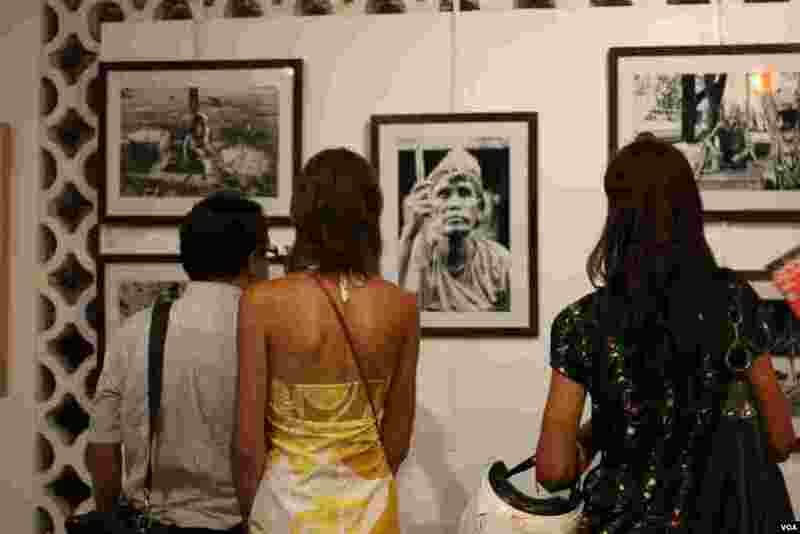 1 Exhibition of photos portraying the livelihood of indigenous people in Ratanakiri province. 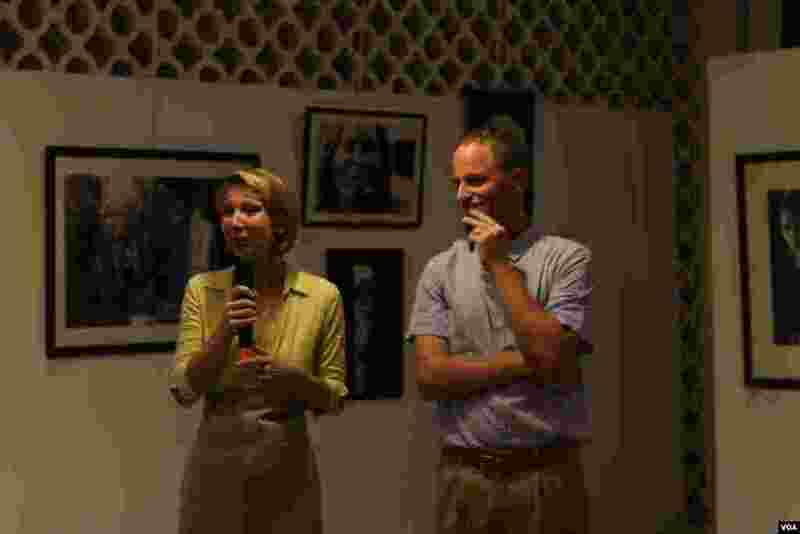 3 Annick Schubert, field project manager, (left) and Cédric Delannoy, right, photographer speaking at the exhibition. 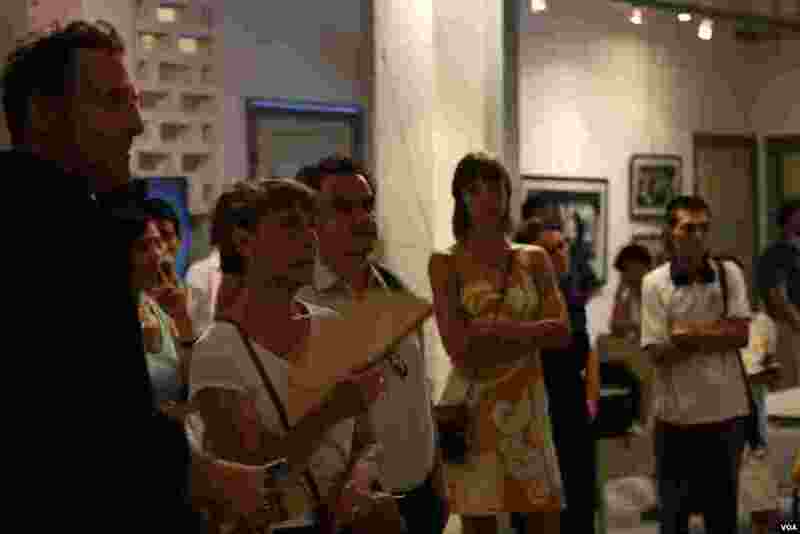 4 Audiences at the exhibition are listening to Cédric Delannoy's before the screening of the documentary.